For a team like St. Louis that is already a potential powerhouse franchise, the 2017 draft was superb. The key to the St. Louis Blues is that they draft based on players they believe can be molded into playing their style. The St. Louis Blues are also unafraid to draft Russian players and have no fear of letting a player develop over a relatively long period of time. Robert Thomas was a player whom some scouts ranked as a top 10 player. 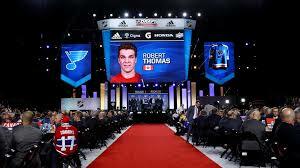 The scouts who were excited about Thomas saw his potential as a heady, two-way center and felt he would be able to overcome the issues that come with a lack of ideal size for an NHL center. He possesses extremely high hockey I.Q. and is a player who has already learned how to compete each shift. Those attributes are high predictors of NHL success. Thomas was a force on the OHL London Knights. On the other hand, there are potential reasons for concern with smallish centers that lack elite speed. 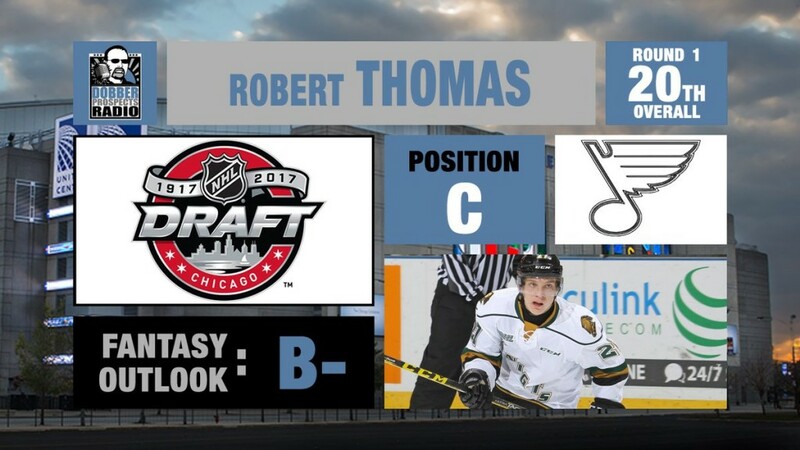 Thomas has the hands, tenacity, and skill to be a highly successful NHL forward. 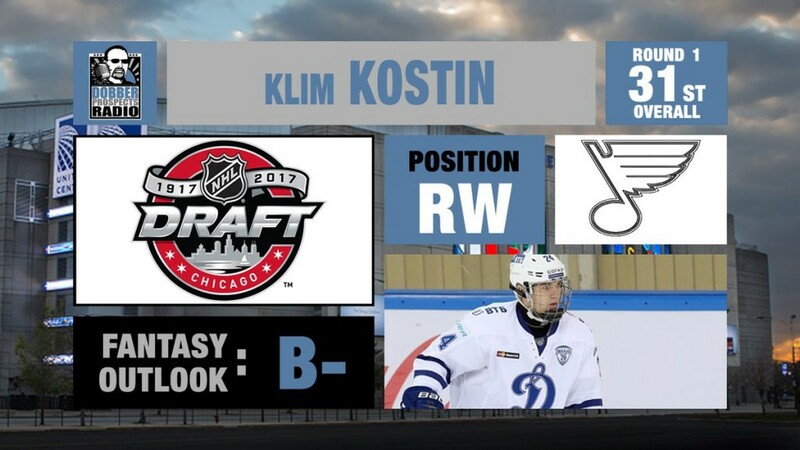 Klim Kostin is simply put highway robbery by the St. Louis Blues. He is at minimum a top ten draft pick based on size, skill, skating, drive and hockey I.Q. The gamble was that Kostin had sustained a fairly significant shoulder injury and therefore did not have a large body of work. Additionally, with Russian draft picks the risk is always there that the draft pick will prefer the KHL to the CHL/NCAA/AHL development route. Kostin has been extremely impressive in how he has handled himself thus far in the process. All indications are that Kostin has the self-discipline and drive to become a high impact NHL player. Alex Toropchenko is an under the radar right wing who has size and scoring ability. Steve Kournianos @TheDraftAnalyst has a fairly lengthy video clip of Toropchenko. Although Toropchenko was not a household name among most of the various draft services, he was something of a late riser. Toropchenko had a modestly successful stint with HK MVD of the MHL; so his statistics are not world-shattering. Toropchenko is the kind of player who could seems likely to either develop into a superb, scoring power forward or to vanish into the KHL. If Toropchenko is committed to playing in the NHL, and to working on the details of the game in order to reach the NHL, he is going to be an excellent player for the St. Louis Blues. David Noel gets mixed reviews. At his best, he is an offensively gifted, puck moving defenseman. On the other hand, he has struggled at times in the decision-making aspect of the game. There are times when he has not been able to make reads accurately when under pressure. Noel played for both Chicoutimi and Val-d’Or of the QMJHL. I was impressed with him when watching several of the Chicoutimi games and felt he had a high upside potential. He will be a work in progress and I would not be surprised if he needed four more seasons before he made his NHL debut. On the other hand, when a player has the kind of offensive mindset that Noel has that player can make dramatic progress in a relatively short amount of time. Trenton Bourque seems to be a solid defenseman. He is not likely to take the NHL by storm at any time; but if his time at Owen Sound is an indication, he is a yeoman defender. He has fine speed and obviously has the frame to be a guy who can keep forwards away from the net. I would not project Bourque as a top four defenseman unless his development curve hits a radical incline. Anton Andersson was largely unranked as a draft pick. Information on Anton Andersson is relatively scarce. Andersson played 19 games for Lulea U-18 in 2016-17. Andersson had nine goals and 12 assists. As far as seventh round picks go, there is every reason to take a gamble on a big, well-coached Swedish defenseman.